A dazzling night of dance you won't soon forget! the title of LA's most supported dance star! Support our dancers by voting and cheering them on! 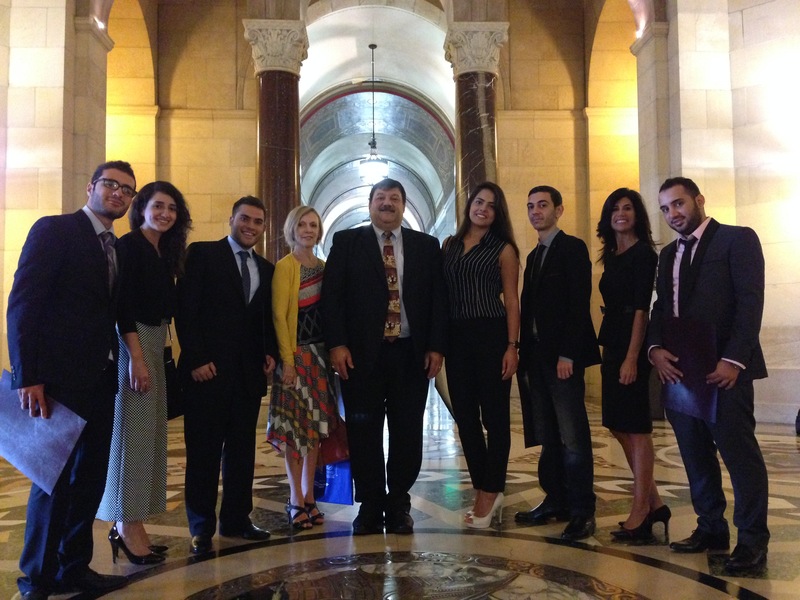 Los Angeles Beirut Sister Cities Committee’s Student Civil Engineering Program is a two-week intensive focused on best practices in the field and designed to develop, promote and encourage Leadership, Civic Engagement and Pluralism. Students with financial need from four Lebanese universities are selected by committee, after applying, providing references and participating in an application / interview process. Past classes have included students from AUB, BAU, LAU and UOB. LABSC’s Dancing in the City of Stars! Los Angeles Beirut Sister Cities Committee is proud to invite you to a night of dance and friendly competition, celebrating the diverse LA communities. Come out and see nine community participants paired with professional dancers compete for top honors. Your vote picks the winner! The Los Angeles Beirut Sister Cities Committee, was established in 2006, to create a bridge of understanding and friendship between Los Angeles and Beirut. Our aim is to create opportunities for business, educational, cultural and social exchanges so both cities may continue to prosper and build towards a bright future.